See the Resources section below for a full list of ethnicity codes. 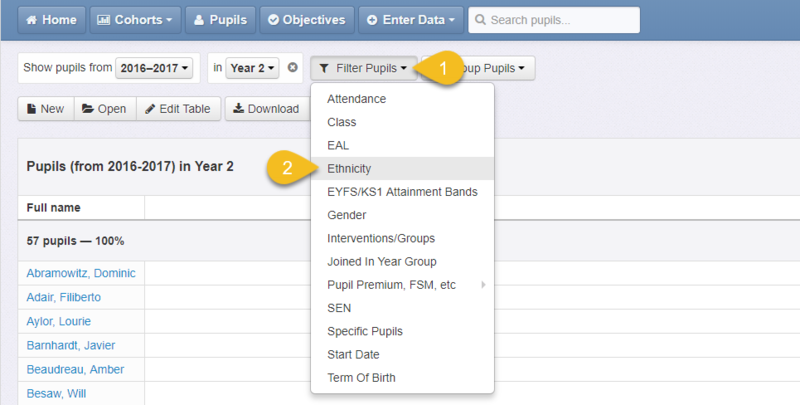 Once this information is in Insight, you can use the filters and groups to analyse your data by ethnicity. To remove the filter when you're finished, click the remove icon next to it. 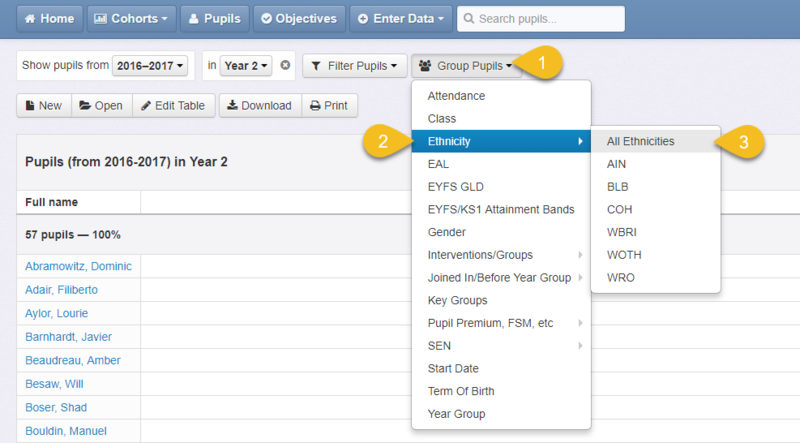 If you choose All Ethnicities, Insight will group all pupils into their respective ethnic groups. If you choose a specific ethnicity, Insight will create one group containing pupils with that ethnicity and one group containing everyone else. To remove the grouping when you're finished, click the remove icon next to it.